To reduce drunken driving, China’s Ministry of Public Security has proposed new tougher DUI regulations, including fining the passengers of intoxicated drivers for having failed to stop the criminal act. 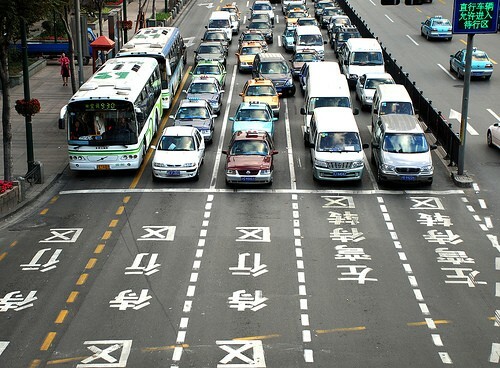 China’s set to get tough on drunk drivers…and passengers had better watch out too! In a bid to reduce impaired driving, China’s Ministry of Public Security has proposed fining passengers of drunk drivers. The passengers would face sanction for not having stopped the crime. Currently, driving while intoxicated is a criminal act in China, only when the driver causes an injury or death. Police have questioned the practicality of the new laws, wondering how they would be able to ascertain whether or not passengers knew of their driver’s alcohol consumption. Additionally, due to some ambiguous language used in the drafting of the proposed law, passengers of buses and other commercial vehicles would seem liable for the actions of their drivers – an idea one Shanghai bus commuter called “senseless”. The Chinese Public Ministry has not responded to questions about the proposed new law.